The women were cycling on a winery tourist trail in the Clare Valley. They were admiring a huge male kangaroo up ahead. He watched intensely as they cycled towards him. Something snapped in his mind and the roo attacked the women, landing on one and then bouncing off and jumping on the other woman. It would have been traumatic. One of the women requires surgery. The kangaroo left the scene, probably to reflect on his recent encounter with cyclists. Obviously he has a disdain for the two wheelers. The women were lucky that they were on bikes which acted as shields. It would have been worse if they had been walking. Rogue roos can rip the insides out of a person. I planted a crop of climbing peas a couple of weeks back and they are rushing out of the ground. They like the cooler weather and hopefully will produce a bountiful harvest in a couple of months. I collected the seeds from last year. They are called Telegraph Peas due to their mature height; reaching for the heavens; with tall stakes to cling to. By why, after 1,000s or millions of years of evolution and training, do the young pea plants tend to flop onto the ground. Later in life, in a few weeks they'll get the knack and be good clingers; and climb and cling. Meanwhile they need a bit of twine to hold them upright. Then again, gardening is a wonderful escape from the complexities and demands of the outside world. Here's a great photo from the bush. Just love it! The windmill is iconic Australia. Solar panels are delivering extra power, especially to the rural areas. At Unley, in the Village Green, there is an old windmill; a relic from a bygone era when the area was primarily agricultural. One of my pet projects and desires is to restore the windmill and install an underground tank to be used to simulate pumping water. There needs to be a bit of controlled leakage just like with real windmills in the bush. 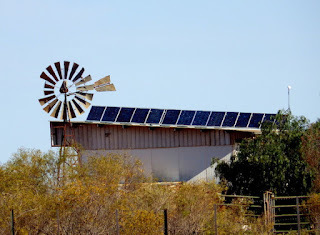 Solar panels on the nearby Council building would power the pump and help to turn the windmill blades.At night, soft LED lights would highlight the feature. It would be a magnificent working art feature. Before I leave Council, I want to see this happen. At times you just need to take a break and get away from the city crowd; and from its demands and pressures. Going bush is an easy escape and helps to put things and priorities into perspective. The clearer skies, the red and greening landscape and the local kangaroos, wombats and magpies help to give life a new perspective. An ideal way to settle the mind and to recharge. It's alooong election campaign for who governs Australia. So loooong and such a wild ride. Another 5 weeks to go. Ignoring the polls and listening to the people I'm prepared to call the election; at least for the House of Reps; but I won't (publicly). The outcome in the Senate is a big unknown; but I hope for one with a wide array of independents and not dominated by major party hacks (many with no real life experience) who never seem to be representative of the people. It's disappointing that we rarely hear from party candidates who might have their own opinion. Their campaign is simply a blue or red (or green) brochure with their photo (with their leader) and with a few words that echo their party's slogan. It's disappointing that parties constraint their candidates from saying anything that reflects their personal opinion. Sad. How can you vote for someone you don't know; someone you know nothing about; someone you might actually like. This milk issue is outrageous. The hard working dairy farmers are getting screwed by the supermarkets who promote their own brand milk which is bought at dirt cheap cost from the farmers. This only happens because consumers buy the cheap milk at $1 a litre. We must all take a stand and stop buying unbranded milk. Only buy branded milk. This will ensure that dairy farmers get a better deal. At your work place see what milk your company buys for your morning tea cuppa. If it is an own brand from the supermarket then talk to the boss; make a representation to management. When you go to a coffee shop, ask the barista which brand milk they use. If it is unbranded then ask them to change or switch to another more ethical barista. If we drive our dairy farmers into the ground it will encourage foreign buyers to buy up more of our agricultural land. It got a bit heated at the Unley Council meeting last night. One of the topics for debate was cats and how best to deal with stray cats. 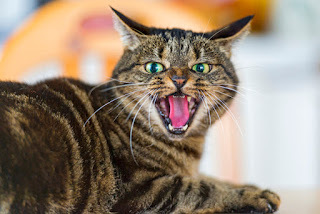 I argued that residents should have a choice of how to deal with these cats. or there is the option of engaging a volunteer group called 'CATS Inc.' who will trap, desex and return the cats, at a low cost to the resident. I argued that residents should have the option of how best to deal with these cats; ie. choose to kill or not to kill. Residents should make that decision and not Council. I tried to get an extra $1,000 to fund CATS Inc. It became quite a feral debate. I know that it's theft, but this is an enjoyable story with an artistic twist. In fact, it's a fork'n good story. He stole the forks over a period of 15 years and stored them unwashed with food and saliva intact. Now he has catalogued and displayed them just like a museum exhibit. Next time you are eating out (and you think that you are special, important, a VIP) then your eating utensil may be stolen by the waiter and later be exhibited in the name of art. 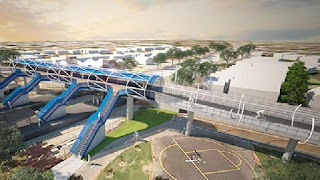 Fantastic news about the SA State Government finally announcing the plan to build a pedestrian and cyclist overpass at Forestville, over the train line. This has been long overdue. The entrances will from Norman Terrace and Railway Terrace North. The path will be disability compliant and there will be stairs and lifts to the 2 station platforms below. For cyclists travelling from 'Glenelg' to the city, this will cut 2.5 minutes off the commute time. The price tag is $10m. This includes the cost of 2 lifts and compulsory acquisition of land. At night there will be a nice subdued blue LED glow. Over the recent sunny weekend I was in the front garden. The dogs were with me and were lying on the bricks in the driveway and watching the world go by; and they had a vigilant eye out for distant cats. I was also lying on the bricks in the driveway; not dog-like; instead I had an old sheet to lie on whilst I painted the fence. It was peaceful out there as the world passed by. They are inquisitive and engaging birds. The magpies slowly strutted along the footpath and just out of reach of the dogs (and me) on the other side of the gates. The birds made a lot of noise, probably chattering about the weird animals lying on the bricks. 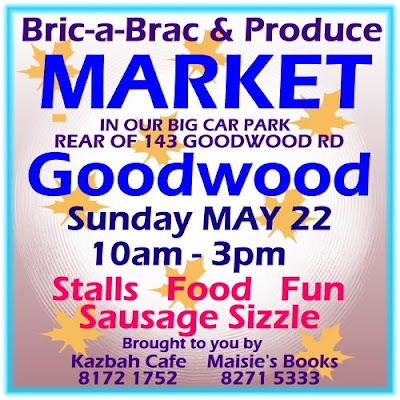 A new Sunday Market is starting in Goodwood. Here are the details ... Event: 22/05/2016 Sell your stuff or find a treasure A new fortnightly market in Goodwood near the Capri Cinema. The market is brought to you by Kazbah Cafe and Maisie's Books. The date of the first market is Sunday 22nd May 10.00am to 3.00pm, and then every second and fourth Sunday of the month. The market will be selling fresh produce, bric-a-brac, art, crafts and hobbies, household goods, clothing, baked goods, jams and preserves. Kazbah cafe will provide coffee, snacks and a sausage sizzle in their courtyard that opens onto the carpark (which will be closed to cars for the day). The organisers are looking for stall holders. See you there! There's been considerable comment about election posters appearing on stobie poles a week before the legal date. It's a form of visual pollution and residents resent them; the posters and the candidates. It's sad that candidates feel that they need to put their mug shots on poles. It's cheap advertising that reduces the need to door-knock homes; that's what they should be doing. Further, what really annoys me is the extent of photo-shopping and air-brushing of the photos; to the extent that the average looking political hopeful looks stunning. Anyway, the posters are going up a week early. The reason is not to get the message out early, it is simply to get pole position; to get the best pole and the best position. The rules are that Councils can issue a fine of $100 per infringement. Given that Unley Council is pursuing other revenue streams I am proposing a scheme to add to the coffers; the intent being to keep rate rises low. 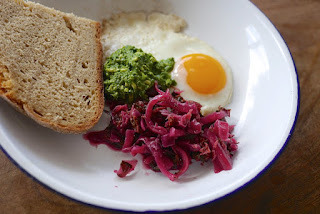 The art of krauting vegetables is gaining popularity. It's so easy. The preparation is a good way to release tension; by the squeezing, punching, bashing and smashing the vegetables. Unley rate rise too low? Councillor Jennie Boisvert wrote on her blog a summary of Unley's proposed rate increase. The proposed rate increase is 2.2%. Her argument (and that more strongly of Councillor Mike Hudson) is to increase the rate rise to say 3% to reduce the growing debt; the increase in debt is primarily to fund the major roadworks along Goodwood Road. The rationale for servicing the roadworks only by debt was to share the burden of cost for major projects over future years ie. to share the burden across the generations. The issue is that the current generation (of rate payers) will not be contributing in the first year. There is reasonable rationale for a modest increase in rates so that the debt is reduced. Keeping it below 3% is a must! Shame on those people who use offshore tax havens. Now, after that massive leak, it is so easy to see who is involved. A searchable database of more than 200,000 entities found in the Panama Papers investigation has been released, stripping away the layers of secrecy shrouding companies, trusts and foundations created in 21 jurisdictions around the world. The database contains nearly 214,000 offshore entities created in 21 tax havens across the world by Panamanian law firm Mossack Fonseca on behalf of its clients. These companies are searchable by the names of their officers, as well as by company name, intermediary name and registered address. It will be interesting to see who you might find. My tip is to wear gloves and eye protection. A fabulous Saturday afternoon spent cooking an Afghani banquet with famed chef Farida Ayubi (of Parwana restaurant). Lots of food to take home and enjoy over 2 days. I was a participant in the L Plates Tasting Australia gourmet experience held at TafeSA @ Regency Park, SA. A great day cooking with Farida Ayubi.